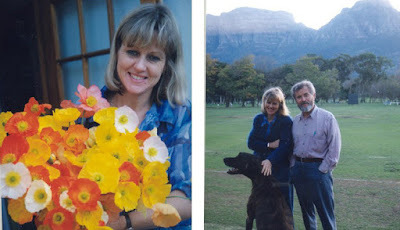 It is with great sadness that I report that Dee Bradshaw, Emeritus Professor at the University of Cape Town (UCT), passed away last night after her long and very brave battle with cancer. Dee was a great friend of the family for many years, and it was only in April that she called in at Comminution '18, where she wished it be known to everyone that her cancer had returned and that she was terminally ill. Dee bore her illness with amazing fortitude and spirit and she was a wonderful ambassador for the role of women in modern mining. I could write a great deal about Dee, but would not be able to better the appreciation of her by Anita Parbhakar-Fox, which was published only 3 months ago. Dee was a great fan and supporter of the MEI blog, so I can think of a no more suitable way to show our appreciation of her than by this collection of photos which have appeared on the blog over many years. She was always smiling, and in many cases advising, and enjoying the company of, young people, many of who she personally mentored. Dee will be greatly missed. She was passionate about the development of students and believed in giving them an opportunity to travel and learn. Shortly before her death, she set up the Dee Bradshaw and Friends International Travel Scholarship for students who display academic merit and are registered for a postgraduate qualification in the field of the minerals sector at UCT. The purpose of the proposed travel to an approved international institution is to enhance research and education capacity, skills and experience. The successful student will receive support for travel and subsistence for one trip during their studies. Full details can be obtained from: Mary Hilton (mary.hilton@uct.ac.za). Our thoughts are with Dee's husband Mike, and family, at this very difficult time. I will miss You Dee! We know each other so long already and we had so many plans for the future. It was always just beautiful to meet with you, wherever we met each other around the globe. So great always to discuss and just chat about things. Take care where you are now in peace and tranquility. Such a sad news. Dee was a great scientist and friend. We will all miss her. We are deeply sorry to hear the sad news, great professor, great person, great mentor, we love you and rest in peace. Our thoughts are with my mike and the family. Heartbroken- my thoughts are with Dee's family, friends and colleagues. I'm going to make sure I put into practice all the wonderful things Dee taught me. Such an inspiring woman, I'm thankful to have known her. Deeply saddened to hear this news. As a scientist, she was always looking to drive innovation, particularly in process mineralogy and in this aspect the discipline has lost one of its strongest and most passionate advocates. But she was also a huge personal influence on me and I cherish the time and energy she shared with me and with the Masters she encouraged me to do. Rest in peace - my thoughts and prayers are with your family, friends and colleagues. My condolences to Dee’s family and the many people influenced by her teachings. You will be missed and you will be remembered. Dee - you have been such an inspiration to us all, loving and caring for so many of us. Everyone was special to you. We know that your legacy lives on far and wide with the many lives you have influenced - the Living Gold. You will be sorely missed. You remain as one of the special people I have every had the opportunity to know for which I am eternally grateful. Megan Becker, UCT. Very sad news. A great loss for the mineral processing family, especially for the many many students she taught and supervised in JKMRC and UCT. Rest in peace, Dee. We will miss you. Dee was a true inspiration to us all. She will remain in our hearts and minds. I will always remember Dee's smiles, her loving nature, her passion for students and education and interactions with colleagues, friends, and research collaborators. I have immense respect for Dee as person and as professional. I got to know Dee through the management and activities of the Western Cape branch of the SAIMM, when Dee was at UCT and I at Stellenbosch University. I followed Dee's career with interest and it was fantastic to see Dee achieve success after success in the global mineral processing field. She was always greatly respected by all who have known her. I can only echo's Cyril O'Connor's words and state that she will be greatly missed. My sincere sympathies to Mike and her sons. May she rest in peace. My sincere condolences to Mike and family. Dee was a rare person truly gifted with social and technical skills, and carried her own sunshine wherever she went. I was very fortunate to meet her in the postgrad school at UCT whilst studying with Cyril. From that year on we started researching together in flotation projects, and became travelling companions in the pathway of life. Together we did some really interesting work. Fly with the angels my friend. You will be sorely missed by many, many people. Rest in peace Dee. So glad I had the chance to chat to you in April in Cape Town and say what I want to say to you personally. We met each other inthe 1980’s and attended the Reagents Conference together in 1991, the first of many. Thanks for being an incredibable person in all aspects of your life. You were really an inspiration to many, especially hundreds of students. You will be surely missed. I am very sad but I am forever grateful for your supervision work when I did my PhD studies at JKMRC. I am also forever grateful for being my friend. I had the great pleasure of interacting with Dee for two decades. 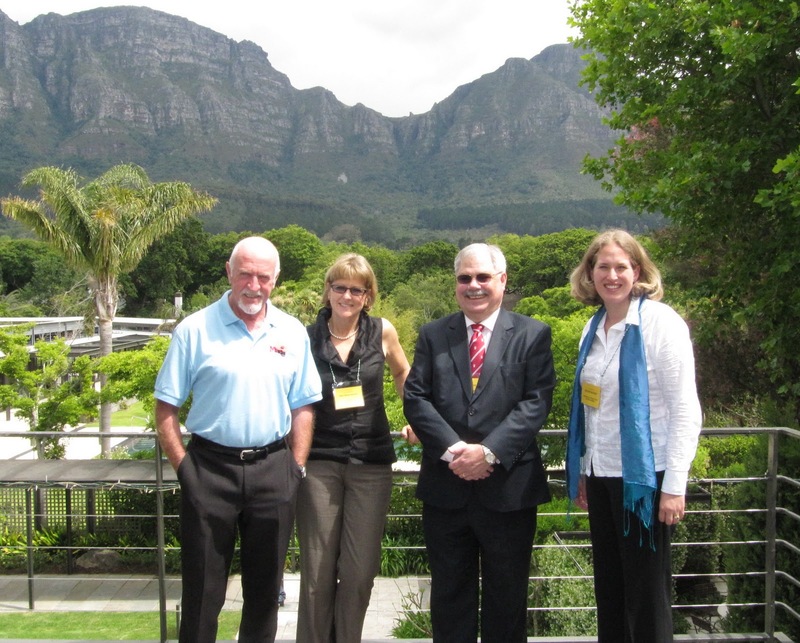 My wife Ann and I had lunch with Dee last November at the Rhodes Memorial Restaurant in Cape Town. We were so impressed , indeed overwhelmed, by her courage and happiness in the face of real adversity. 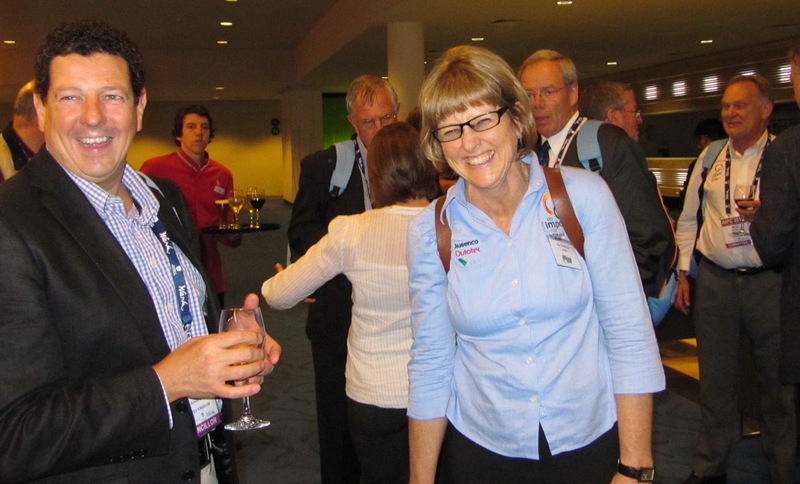 Dee was: vivacious; kind to a fault; full of enthusiasm and ideas; enormously helpful to many people, facilitating their careers; always asking questions; pushing the boundaries of minerals research, probing for links and connections. She lived life to the full and we are so happy and proud to have spent precious time with her. Our very heartfelt and deepest condolences to Mike and the family. The mining industry has indeed lost one of the greats. Dee’s infectious spirit will be with us always. Deeply saddened by the news. 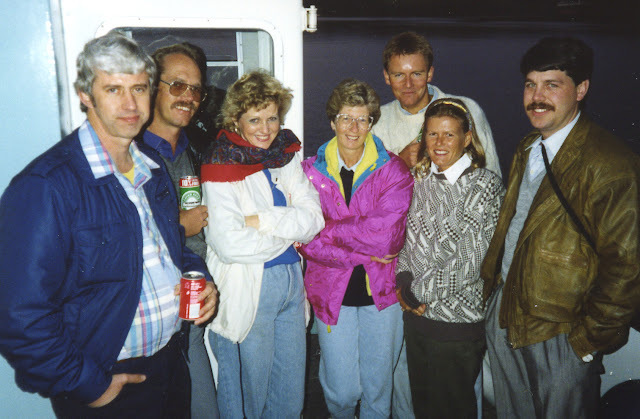 Dee was not only an outstanding minerals engineer, but also a genuine and lovely human being. My sincere condolences to Dee's family. Dee was an inspiration to me and my family, and I think we have all lost a little something with her passing. My heart and thoughts go out to her family. I'm sad. My deepest condolences to Dee's family, friends and colleagues. Dee has been an inspiration to many young and emerging researchers (like myself) in flotation reagents chemistry at UCT's Centre for Minerals Research. She was the Chief of Panel during my PhD proposal and I am greatly thankful for the advice and suggestions that she and other panel members put together which helped in shaping my PhD journey. God be with you until we meet again! It is impossible to say enough about Dee. She has been, and no doubt will continue to be in memory, an inspiration to those she met, worked-with or taught. Her positive attitude to research, teaching, engagement (etc.) was always able to inspire. She will be sorely missed. I am so very sad to hear about Dee's passing away. I really wish she's with the angels right now as I have experienced her as a very kind and special person. My first encounter was at Flotation'13 when I was just new to the Mineral Processing and Flotation community and she was really the first who made me feel so welcome and let me enjoy the community every since. I got to know her as a truly inspiring women and enjoyed so much the many times we met at various meetings across the world. I will never forget her stay with us in Freiberg and Dresden two years ago, when visiting our facilities, discussing various topics and enjoying the night at the Schillergarten in Dresden. 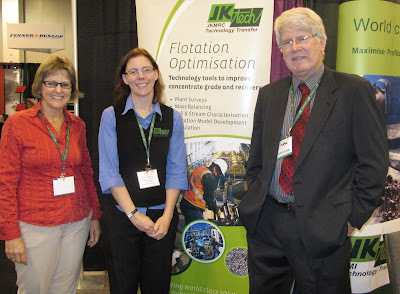 She realy cared about all aspects of Mineral Processing science. What will also forever last is the memory of our last encounter at Flotation'17 when she showed me the importance of positivity in life. My thoughts are with all the people she leaves behind, especially her family and as well her international mineral processing family. Rest in Peace, Dee, I will miss you. So sad to hear this news. Dee was an inspiration to me. She provided me with great help when she worked at The University of Queensland. I will miss her wisdom and her smile. This is very sad news indeed. Our prayers are with her family at this time. 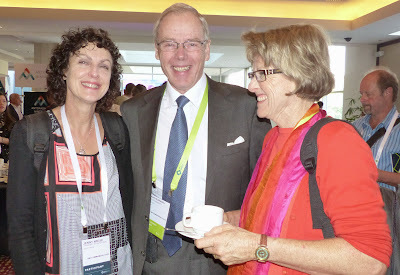 I met Dee when she did a short secondment at Rio Tinto T&I in Melbourne Australia. She made such an impact on me and was such an encourager. It seemed that overtime when I saw her again at a conference she again was encouraging me to publish the work we do. 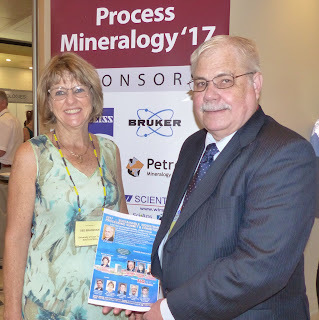 She was such a great ambassador for process mineralogy and someone who saw potential and believed in everyone she met. She will be greatly missed and our community will not be the same without her. I compiled a memories album for Dee, which we gave to her in April. She greatly enjoyed the photographs and notes from about 70 colleagues, close friends, and past students around the world. With her passing on, we are opening up the album again for anyone who wishes to contribute. We will compile it into an eBook form for open access to her extensive web of friends and connections worldwide. If you wish to contribute memories and photographs please send to me by the 30th June. My heartfelt thoughts are with Mike and the family. I am saddened that our physical paths no longer cross somewhere on this planet. I will keep Dee and all her amazing attributes in my heart. She continues to be a shining light for young and old and remains an inspiration to soldier on, regardless. I am forever grateful for her smiles, encouragements, and support. I miss you, Dee. It is with great sadness that I happened upon this obituary today. Dee was an amazing person and academic who was always enthusiastic, always seemed to have a smile on her face and was always willing to assist or provide guidance.